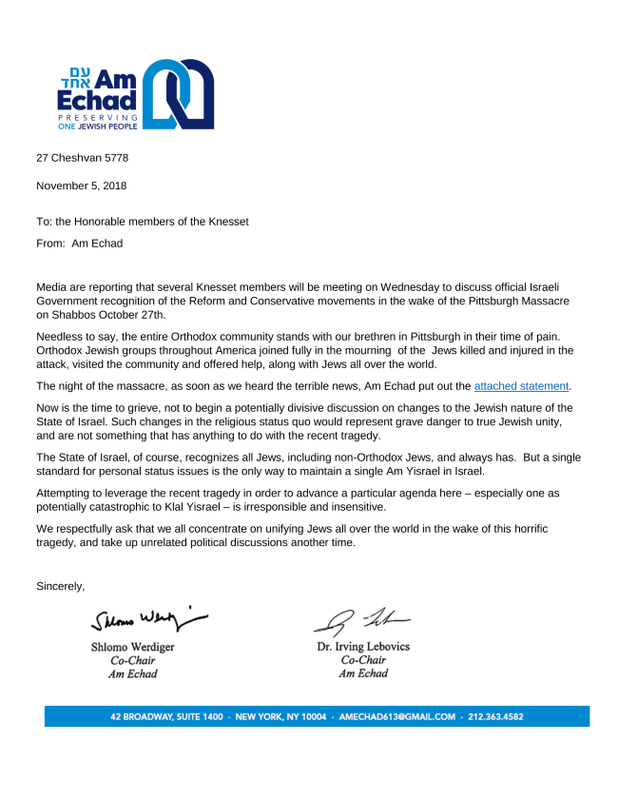 This letter was sent today by Am Echad, Preserving One Jewish People, to Members of the Israeli Knesset encouraging them to not recognize Reform and Conservative movements in the wake of the Pittsburgh massacre. To download a copy of the letter in PDF format, click here or on the image below. The Am Echad statement following the Tree of Life Synagogue massacre in Pittsburgh on October 27th is available here.